In a new twist to the ongoing trial of Director of Radio Biafra and leader of the Indigenous People of Biafra (IPOB), Nnamdi Kanu, he has asked Justice John Tsoho, of the Federal High Court, in Abuja, to hands off the case. Last October, the Federal Government charged Kanu with treasonable felony and the case has suffered series of adjournments. 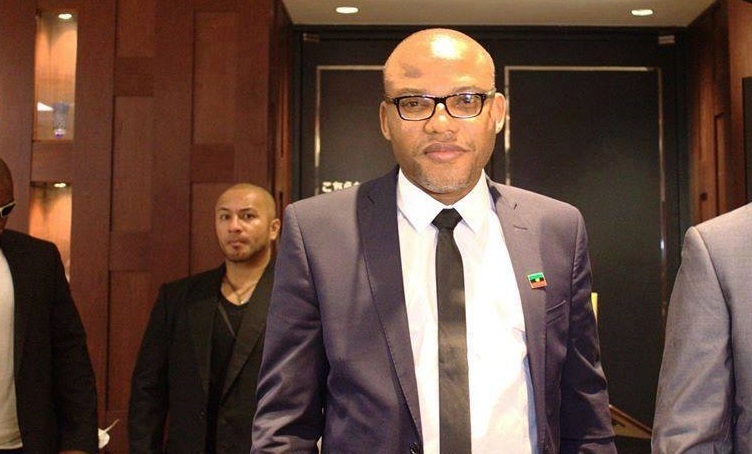 Yesterday, Kanu’s lawyer, Ifeanyi Ejiofor said they have asked the Court of Appeal to reassign the matter. Bringing up an incident that happened in court, Ejiofor said the parties would have to wait for the decision of the Appeal Court on the matter. He explained further: “Look at what transpired this morning, the judge cut short the adumbration of the defence counsel… adumbration is a right, and the right of adumbration is under our procedural law and having been provided as such, the court should allow us the right to adumbrate on our motion on notice before it. Justice Tsoho had earlier granted the Department of State Services (DSS) the permission to protect its witnesses. But, following the court’s ruling, Kanu made an appeal on Tsoho’s ruling on the protection of DSS witnesses. While Ejiofor said they have asked the Court of Appeal to reassign the matter, his lead counsel, Chuks Muoma had argued that it will be wrong to accuse a person in public and decide to try him in secret. Kanu is facing trial for illegal possession of firearms and assisting in the management of an unlawful society alongside two others. He is also facing a six-count treason charge. Meanwhile, Kanu’s trial will continue on April 26. A Federal High Court in Abuja had on March 7, granted the application by the government to shield its witnesses in the trial of the self-proclaimed leader of the IPOB, Mr. Kanu and two others standing trial for alleged treason. According to the prosecutor, the witnesses claimed they had been threatened by associates of the accused persons should they testify in the court, stressing that they would only testify if they were assured of their personal safety. The Federal Government, in the application it filed last month before the Federal High Court sitting in Abuja, decried that all the witnesses billed to testify against Kanu and two other pro-Biafra agitators, Benjamin Madubugwu and David Nwawuisi, who are facing trial with him, have declined to appear in court. The witnesses were said to have insisted that they would not testify against the defendants unless their safety was guaranteed.